Migraine Monologues: I might have to cancel our plans – an auto email signature? I might have to cancel our plans – an auto email signature? “I’m very much looking forward to the plans we have just made. There is, however, a greater than 60% chance that I will have to cancel said plans. I will try to give you as much warning as humanly possible. I really do understand how annoying it is when people cancel at the last minute, so if possible I wont do this. 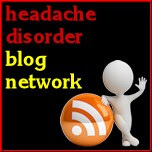 But you see I have this bugger of a condition called migraine that is often unpredictable. I will avoid all my triggers like the plague before our meeting, I’ll stay in, be well rested etc but bam! I might wake up on the day feeling like there is a sledgehammer in the back of my head; having gone to bed the night before feeling fine. Similarly, the migraine might creep up on me as the day progresses meaning I’ll have to send you an annoying text and/or email cancelling at the last minute. And yes, I can send a text and/or email with one eye open lying in bed in the dark. And let me assure you this is far more inconvenient and embarrassing for me, than for you. And I will agonise over cancelling, I will have tried all my trusty tricks to avoid the ascent of this migraine, and probably taken far more medication than is sensible. I will probably also have had a conference call with parents. I also swear to you (on my kitten Chipster’s life) that I never, ever use a migraine as an excuse to get out of anything. Anyway, the point is I will do everything I can to make our meeting and I’m really looking forward to it. But if I do cancel please know that I’m worried you won’t want to be my friend or make plans with me again as I cancel a lot! Please be my friend and still invite me to things! I’m really good company, I promise. But it probably is a good idea if we’re booking tickets for the theatre or cinema that we do it with your card… just in case I have to cancel at the last minute and you need to find a replacement. Nerve Blocks Of All Sorts! I just live with my parents - I'm not in a cult. Haha love this! 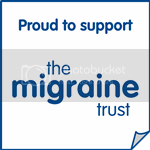 Once again Victoria you have totally hit the nail on the head with your post (is that a good or bad phrase to use when talking about migraines?!!) I'm also totally with you about never using a migraine as an excuse. A few times people have said to me 'oh you can always pretend you have a migraine to get out of something' but I get quite passionate about not doing this a) it is horrible and b) I have so many real ones, I don't need to start making up fake ones - what if they start becoming true? !